[1:20] <Berg> just a silly thought fred1807 my pc sets the mod on my hdmi tv thought that5 the pi would do the same? [1:22] <KDDLB> what's the Pi's resolution when outputting analog video? [2:14] <at0m> fred1807: is it in the repo's? non-free then, i assume? [2:15] <ozzzy> free is ok... non-free is ok too. [2:16] <ozzzy> do you expect someone to build you a house free? [2:17] <ozzzy> did you grow the trees, cut the wood, forge the nails etc using free fuel? [2:21] <Berg> you like old or you forget what they was in the first place? [2:26] <KDDLB> ozzzy: actors DON'T act in a white screen? [2:54] <jeeves_moss> nm, kernel.img not found. [3:10] <jeeves_moss> has anyone been able to get Windows 10 IoT running yet? [3:19] <jeeves_moss> is there a windowz IoT channel yet? [3:23] <jeeves_moss> is there just a way to search? [3:45] <jeeves_moss> they should port it to the begaleBoneBlack. at least then there is some power behind it! [3:45] <jeeves_moss> and I'm not expect it to be an out of the box perfect soulition, I was expecting at least a boot! [3:51] <jeeves_moss> good point. I think I'll go back to my Pi2 ELK stack. [3:55] <Berg> suggestions for adding 3v pins? [3:56] <Berg> does it require arduino code? [4:09] <fred1807> I cannot change screen overscan, is it because I have set option hdmi mode and group ? [4:10] <exonormal> fred1807: can you use terminal? [4:15] <fred1807> why overscan settings dont have any effect? [4:15] <Berg> what coiuntry you in? [4:24] <exonormal> fred1807: did you do sudo first? [4:25] <exonormal> ok did you try it without sudo? [4:25] <exonormal> what OS you using? [4:25] <fred1807> what is wrong with direct editing config.txt ? [4:25] <fred1807> is config.txt os related?? [4:26] <exonormal> ok, then raspi-config is somewhere in there. [4:26] <fred1807> is config.txt os related ? [5:15] <exonormal> well, why so silent all of a sudden??? [5:16] <exonormal> did your neurons quit moving around? [6:37] <JK-47> pewpau: Step #1 have a plan. step #2: ??? sptep #3: profit! [6:38] <JK-47> not really. step 1 be like, pay $500 for an llc. Step 2 is buy liability insurance. $500/yr. Step 3: hire a lawyer to make sure you are breaching patents or trademarks. step #4 get a state trade name/biz license $100. [6:42] <pewpau> If you try to sue someone because "my soup was cold", it goes to the trash can without getting into the court. [6:42] <pewpau> same with copyright etc. [6:42] <pewpau> Did someone got raped? Well, that gets prioritized. [6:43] <pewpau> It took a lot of bribes to even touch the pirate bay, and they're still up. [6:43] <pewpau> they even survived corruption and the multi billion entertainment industries. [6:44] <pewpau> In the US, you get sued for the most odd things :P.
[8:00] <zamba> hi! 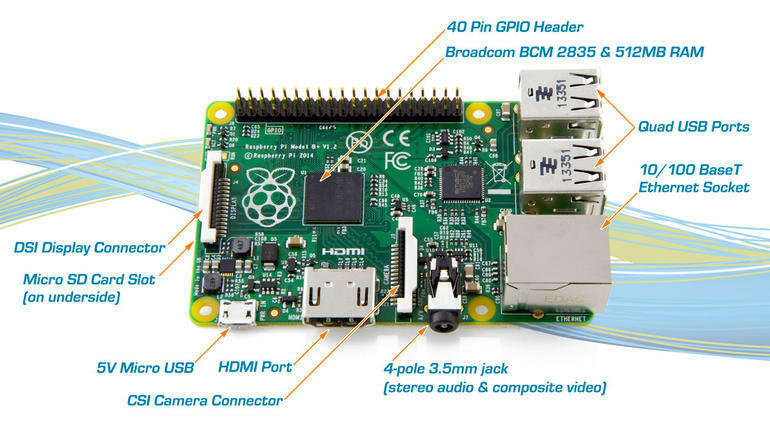 what is the recommended power supply for running the raspberry pi? [8:06] <[Saint]> Though technically speaking 1A should be entirely sufficient without additional peripherals. [8:09] <zamba> [Saint]: that's what we have.. so why are we experiencing the rainbow icon at the top-right corner? [8:09] <zamba> the pi can't handle a powerpoint presentation? [8:13] <[Saint]> I find it infinitely more likely that your PSU is lying than the raspi is mistaken. [9:18] <mun> Is it possible to make a clone of a working setup, copy it to an SD, and run it off another rpi? [10:20] <lilCodie> hi, i looked at the rules, i was wondering if i could post a link i need some help with? [11:01] <samek> hello, can someone tell me, what's the status of rpi-4.2.y branch. is this ready to be compiled and used? [11:02] <samek> or is it unstable? [11:03] <samek> okey, but does anyone use it? [11:05] <samek> hmz, is 4.1 branch considered more stable? [11:10] <icemanbp> anyone try some eletronic project with raspy? [11:21] <Mia> gordonDrogon, so it's a python device? [11:21] <Mia> I mean is it not logic to use nodejs? [11:21] <Mia> is it worth to learn it for p.pi? [11:22] <Mia> I can do everything I want in nodejs --- should I go with it? [11:27] <sven^_> heya.. I am playing around with the gpio pins and try to read the signal. The software side seems pretty easy but I cannot quite get my head around the hardware part: Let's assume I use a battery to power some switch and want to detect if the switch gets pressed. So I have 2 cables coming from the battery/switch, one with GND, one with 0 V or 3,3 (switch released or pressed). Where do I connect them exactly? [11:29] <gordonDrogon> Mia, I've no idea about either python or node.js. I use neither. BASIC is my chosen programming language on the Pi. [11:30] <gordonDrogon> sven^_, you connect the 0v from the battery (the negative terminal) to the 0v line on the Pi and you connect the positive side to the button to one of the gpio pins. if your battery is not 3.3v then you'll kill the pi. [11:31] <gordonDrogon> sven^_, start here: https://projects.drogon.net/raspberry-pi/gpio-examples/tux-crossing/ it has LED outputs as well as a button input. [11:34] <gordonDrogon> sven^_, if you connect anything more than 3.3v to the Pi then you'll destroy it. [11:34] <gordonDrogon> sven^_, you can use a voltage divider or a zener protection input. The latter is preferable. [11:35] <gordonDrogon> or even an optoisolator. [11:37] <gordonDrogon> you don't even need a test battery - just a button & some wire and use the Pi's own powersource. [11:46] <gordonDrogon> you short circuit the power supply. [11:47] <gordonDrogon> at that point various things can happen - the polyfuse on the input can blow, your PSU could blow, you could blow something else up, etc. [12:01] <gordonDrogon> not a good idead. [13:50] <monsti> does the pi (or my wlan) have some kind of power saving mode? [14:01] <nid0> Anyone have a couple of minutes to proof-read a build blog for me? [14:12] <at0m> nid0: paste it in a pad, post link? [14:27] <at0m> nid0: s/no inbuilt way/no built-in method? [14:30] <gordonDrogon> fun little project though. [14:30] <gordonDrogon> nid0, yes - when it gets so narrow to remove the side-menu it works. never was a fan of dynamic font size changes though. [14:51] <at0m> all in all, great fun project. [15:07] <at0m> nid0, you're welcome. [16:53] <fred1807> I have a question about screen resolution.... 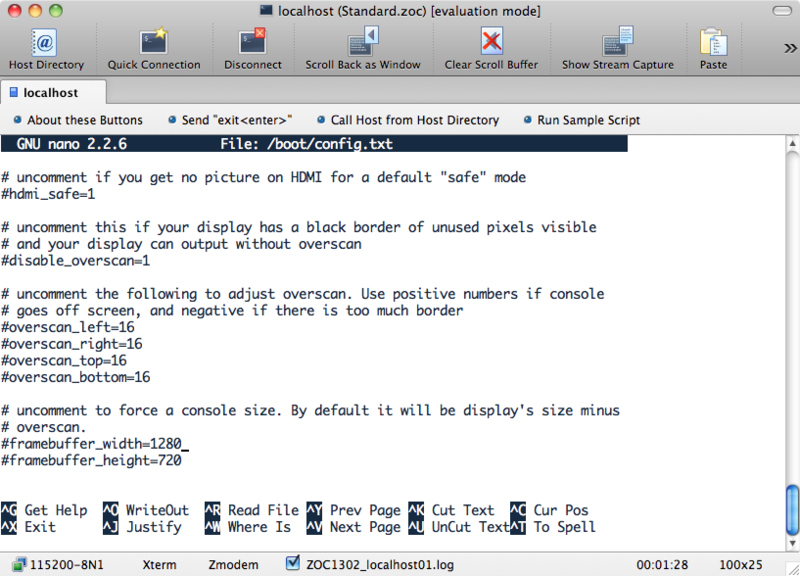 I see examples on config.txt about overscan, like, overscan top =23, overscan left =20, overscan botton = 20, overscan right =20...... But info the TV is widescreen (16:9).... Shoulnd the o overscan values be proportional between top/botton and left/right ?? [17:02] <gordonDrogon> it would be usual to use the same values for the sides and the same (but maybe differet) top & bottom, however you can move the picture about a bit with it. [17:03] <gordonDrogon> there are options in raspi-config to tweak it now I think. [17:05] <Mia> is it logical to use nodejs instead of python on a rpi ? [17:06] <gordonDrogon> Mia, it's logical to use the programming language you're most familiar with. The Pi supports almost every programing language ever invented. [17:06] <Mia> should I use raspbian with a gui ? [17:07] <gordonDrogon> cobol is well supported on the Pi. [17:07] <Mia> I mean --- what's the true way of doing things? [17:07] <gordonDrogon> I use BASIC as that's what I'm most familiar with..
[17:07] <gordonDrogon> the true way is the way that makes you happy. [17:07] <gordonDrogon> or the way that works best for your application. [17:07] <IT_Sean> depends on what you are doing, really. [17:07] <IT_Sean> There is no one "best way"
[17:07] <gordonDrogon> C is the most efficient, but you can write FORTRAN in any language. [17:08] <IT_Sean> Okay... and whatcha printin'? [17:09] <gordonDrogon> JK-47, it's an old meme. [17:09] <gordonDrogon> over timer beeps. back inna bit. [17:11] <IT_Sean> The One True Way is actually to do all your programming in assembly, while standing on your head, over a bucket of jello. [17:15] <Mia> I have no knowledge in electrnics... maybe I shoul've started with arduino O_O ? [17:17] <IT_Sean> Indeed... I've worked with adafruit support before on everything from shipping errors to technical support on one of their kits, and they are amazing. [17:51] <Flipo> djazz: do you have that weird color swatch on it too ? [17:56] <djazz> Flipo: is your pi's red led on and not flickering? [17:57] <djazz> what power supply do you have? [18:01] <xenkey> Are there any control panels for the pi that work over bluetooth? [18:10] <djazz> Flipo: what stuff is cconnected to the pi? [18:33] <cluelessperson> "wpa_ctrl_open: No such file or directory"
[19:10] <Flipo> djazz: did you try youtube on the lcd ? [19:19] <k_j> where is the jack for audio out? [19:19] <k_j> probably because the case is covering it? [19:20] <k_j> is there a picture? [19:20] <k_j> a clear picture? [19:22] <k_j> but are you sure it's behind the ethernet port? [19:22] <k_j> what does behind mean in your opinion? [19:22] <IT_Sean> k_j: are you serious? [19:23] <methuzla> can you open the case? [19:23] <k_j> is this normal? [19:24] <pksato> k_j: yes, if use a wrong cable. [19:24] <GeekDude> Is there a way to go back to the default dhcpcd settings? [19:24] <pksato> need to use a 4 section plug. with 3th from tip as ground. [19:25] <pksato> same as used on some models of smartphones. [19:42] <fred1807> do using overscan settings on boot, use more gpu mem ? [20:17] <steven`> is it possible to watch 3 or 4 1080p movies at the same time on the raspberry pi 2 b ? and play music with an mp3 player too ? [20:49] <freezevee> I have an arduino nano connected via usb on the raspberry B+ and read serial data with ruby. Can I connect the arduino directly on the gpio rx/tx ports ? [20:52] <djazz> freezevee: nano is 5V right? [20:56] <freezevee> but why use it If the rPI gives 3.3V on a pin ? [20:59] <freezevee> Lartza: ttyAMA0 is the standard serial port ? [21:11] <niston> so which media center is currently en-vogue on the Raspi? [21:12] <niston> what about this kodi thing? [21:12] <niston> what is it then? some sort of engine? [21:14] <niston> so openelec is a "repackaged" kodi? [21:16] <zer0her0> I always think openelec is some sort of electronics based distro that ships with EAGLE and SPICE and such. [21:17] <niston> Welcome to OpenELEC, 24/7/365, how may I serve you? [21:19] <niston> "I was desperate cause due to accidental failure, my project was ruined! But thanks to OpenELEC I was able to grab a bunch of precision Op-Amps and high speed FPGAs as a replacement at 2:39am and finish the project in time. I got promoted, found a girlfriend and got laid the first time ever. OpenELEC saved my life! THANKS OpenELEC"
[21:20] <zer0her0> heh, I wish we had a nice electronics store around here still. [21:54] <Boohbah> IT_Sean: do you need to poop? [22:02] <Berg> Ok i installed minibian and i used root to install tightvnc would that be the reason when i start remote desktop it logs in as root? [22:09] <mixfix41> you guys dig arch arm on the pi anyone try it? [22:17] <cluelessperson> I'm using debian on the pi, and I'm trying to setup wifi. However, I'm having dificulty with wpa_supplicant. [22:17] <cluelessperson> wpa_cli "Could not connect to wpa_supplicant"
[22:24] <IT_Sean> Missed that bit. [22:25] <Berg> how is it? [22:25] <Berg> oooo official must be important!!! [22:26] <KDDLB> is this some kind of initiation? [22:45] <cluelessperson> hey guys, how to I find out where python libraries are installed? [22:48] <ppq> cluelessperson, https://packages.debian.org/<packagename> then go to "[list of files] "
[23:14] <steven`> does USPS delivery every parcel that you order to you? [23:24] <sir_phobos> anyone used the Lucid Labs Pi DAC?